Starting from robust copyright rules, Europe needs to forge a level playing field for smaller European actors who work everyday to deliver a diversified cultural offer in the digital market. How and why can independent music thrive in a truly European “digital single market”? What are the best regulatory conditions? Creating a truly European Digital Single Market means getting rid of restrictions that create barriers to reaching across the EU, and to do that you need the best digital infrastructure with rules to match. Europe needs to strengthen copyright because it represents real value in our digital market. This will create better conditions for smaller music companies to take risks and break new acts. No one wants a market where only bigger labels are visible simply because copyright isn’t robust enough for smaller labels. 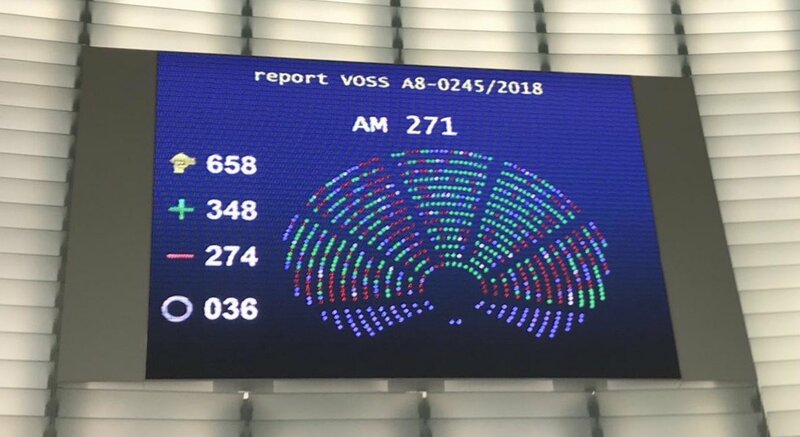 This debate is important because smaller labels take the biggest risks and account for 80% of all new releases in Europe today, as well as 80% of the sector’s jobs. Constantly expanding their focus, they are at the forefront of Europe’s digital market. Independent musician Zoë Keating wrote recently about how YouTube, the world’s biggest music service, had been dealing with her. This is the same sort of censorship-style negotiating tactics the Google-owned company exerted on independent labels last summer. The EU institutions now have the opportunity to strengthen copyright so that we can create new growth and make sure this type of distortion is no longer possible. A birds-eye view of things is often revealing and the copyright debate in Brussels no less so… Lots of scurrying going on, with those who are trying to undermine copyright often supported by the incumbent big tech sector. While seeming to stand for the interests of users, or in some cases even creators, some voices push an old-world view which promotes transferring value from creators and their partners to global online superpowers who, in typical incumbent fashion, show scant regard for innovation and responsibility while trying to get rich and powerful from other people’s creations, property and data. Avoiding tax is another hobby it seems. One independent music company was reported in recent years to have paid in the UK more tax alone than Google, Apple, Facebook and Amazon combined. To liberate the Single Digital Market the EU needs a new rulebook. Europe’s citizens and businesses look to the EU to take the lead. From search, to data protection, to taxation, to how big online players engage with smaller actors, the time to act is now. Together with robust copyright, a new rulebook could deliver a dynamic market. An innovative and secure online world for citizens is essential. And so is a level playing field for smaller European actors who work everyday to deliver a diversified cultural offer in the digital market. A key element to achieve this is the principle of non-discrimination which should apply to how online music services deal with labels and artists. Of course it should also apply to search and data. Independents don’t need special treatment. They need a level playing field. Independents see the digital market as a fundamental leveller, full of opportunity for smaller cultural and creative actors. For that promise to be fulfilled, the digital market needs to become more open, competitive and diverse and of course safe and fair. What priorities should be addressed in the Digital Single Market proposal? IMPALA has identified ten areas of work in a recently published Digital Action Plan. A top priority, in order to strengthen copyright and stop the transfer of value already mentioned, is to stop abuse of the so-called “safe harbours”, to use an American expression. The “safe harbour” provision in Europe was designed to exempt neutral carriers or “hosts” of information online from liability as regards the copyright in creative works. Today it is being abused by giant media businesses who act as distributors but try to take on the responsibilities of a host. As part of the review of copyright, we believe it is time for the EU to intervene. The doubt around this has helped big tech to capture the lion’s share of the value created online through the distribution of creative works, to the detriment of creators and their partners. By clarifying that companies who build a business around facilitating access to creative works cannot rely on the host exemption, the EU will take a big step towards establishing the healthy online environment that the Digital Single Market initiative is meant to foster. Creating a healthy online environment also involves taking a robust view on how it works, and of course this touches on the wider debate, including how certain operators deal with liability and anonymity for example. Better transparency rules are also needed for organisations, think tanks and other voices such as coalitions and lobbyists. Policy makers need to know who is really saying what. “Astroturfing” is a tactic commonly used in Brussels by deep-pocketed companies wanting to make it appear as though a message is coming from many different corners when it’s really just their own view being echoed and amplified, often via projects and organisations that are supported directly or indirectly. Decision makers need a guide to another world wide web – the web of influence. Better transparency rules and monitoring are the answer. The reason why people who work in the music ecosystem need copyright to be robust is that it is the fundamental trading tool which allows them to be remunerated. If creators don’t have copyright, the fruits of their labour can be transferred and they don’t have the economic and moral freedom to decide what happens to their work. Even the essence of freedom of expression is undermined. Copyright also allows for innovative business models to spring up in the digital market. Spotify and Deezer are just two examples. They are world leading European streaming businesses giving unprecedented access to citizens to the widest diversity of music while remunerating artists and their partners such as labels and other rightholders. To get the balance right, it is also important to understand the role of the various players in the creative process. Independent labels are more solicited today then ever before by artists wanting to partner with them. Independents take their responsibilities seriously and are proud of their track record. Being the biggest investors in the process, they take risks and work with their artists to help them build a career. They have a range of deals and revenue options which they work out with their artists (royalty splits, profit share after costs, advances, etc.). Again it’s all about balance and flexibility. What suits one artist and label won’t necessarily suit another. Independents work hard to open new opportunities for their artists and are often ahead of the pack. They were the first to license Napster, in 2001, and they have been at the forefront of the digital market’s evolution ever since. Independents see those who love music not as mere consumers but as fans, as people who are eager to experiment and this is a great match. To facilitate this dynamic, independent music companies and other rightholders have developed licensing systems for platforms such as YouTube on which fans can upload “content”. By licensing platforms, the dissemination of user-generated content is covered. This allows creators and their partners to be remunerated for the use of their works, while ensuring that music fans can upload and share their artists’ favourite works without having to “worry” about copyright rules. The system also gives creators freedom to say no to any use of their work they don’t agree with, a vital part of any creator’s personal rights over their own work, and of course their freedom of expression. In other words, these platforms generate money on advertising, creators get a share, and users enjoy free access and sharing of music. So, beware of any push for exceptions that could help these platforms argue they can share even less revenue with creators or worse, no revenue at all. To strike the right balance, decision makers need to get rid of barriers to this type of innovation, which certain players stifle by trying to hide behind the host exemption, either by not taking a licence at all or by under-licensing and not paying properly. When it comes to harmonisation, it is crucial to look at how the market works in Europe. Independent labels build networks all over the continent. Local independent companies work with other European companies, but also with partners from outside the EU. Repertoire gets licensed country-by-country to different independents who have local market expertise. From this, they generate revenue that they re-invest in new talent. With a music market already marked by high levels of concentration, it is vital that Europe fosters this way of working. For creators, territoriality is part of the fundamental principle of freedom to decide what happens to their works and this must be reinforced. Creators choose territorial partners who give them the best chance to break borders. So the EU can achieve balance by delivering digital rules that improve protection of creators and other rightholders in the online environment, and ensure that European cross-border cooperation is promoted through territoriality, and not undermined. Access to “content” is one of the main reasons people go online. The market in Europe is the strongest and most diverse anywhere in the world. So let’s not undermine Europe’s strengths to the benefit of a few multinationals. Let’s build on our strengths. Streaming is crucial. Streaming services are open platforms, where music fans access the music they want to listen to at their convenience. This effectively works towards levelling the playing field for smaller artists and labels. Independent music companies created Merlin, a digital rights licensing organisation representing the rights of independent record companies on a worldwide basis. Merlin negotiates and concludes contracts with music services, including streaming services such as Spotify, Deezer, Beats, YouTube and many others. The results are impressive. Independents are seeing considerable growth in streaming. This is due to the nature of those platforms and the ways independents use them. With streaming platforms, there are multiple entry points (social media, email, artists’ own channels, etc.) which independents capitalise on. As Merlin CEO Charles Caldas puts it: “Once you liberate consumers from tightly controlled storefronts, and give labels direct access to consumers in the way these platforms allow, our sector will continue to grow, and thrive.” Building on streaming is imperative. The challenge for Europe now is to take the steps required to build the right environment for creativity.